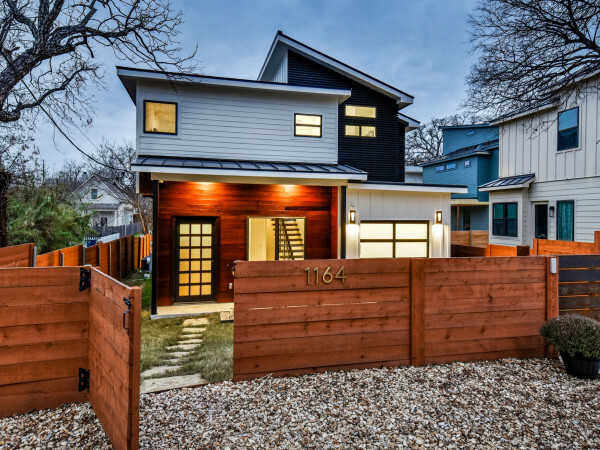 Editor's note: Our friends at Porch.com rounded up these six stunning Austin backyards that boast the best in outdoor living. 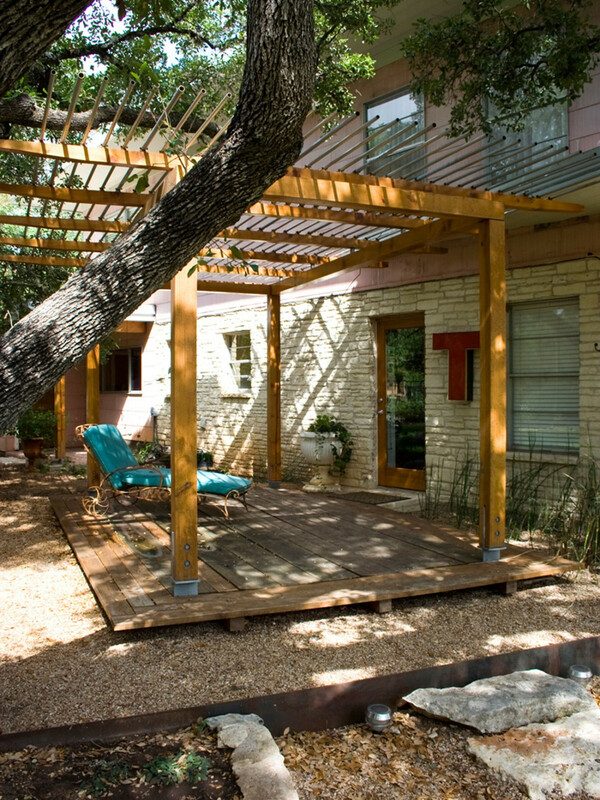 Patios, pools, rock beds and picnic tables: Austin backyards are filled with simple landscaping that can withstand the hot Texas heat. Whether you have a small patio with a few potted plants or a large lawn and pool, these six backyards will have you dreaming of your own outdoor paradise. 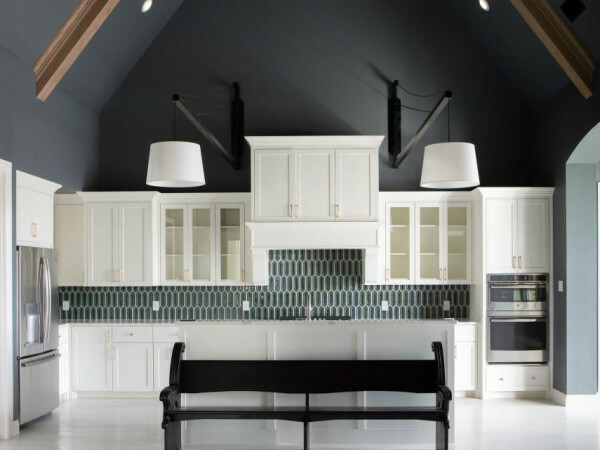 Turn your backyard into a cute spot for sipping sweet tea or the perfect place to sit poolside, with the help of these delightful backyard designs, from our friends at Porch.com. Perched on a bluff overlooking the downtown skyline, this contemporary patio designed by Alterstudio Architecture and RisherMartin Fine Homes combines a rich color palette with clean lines and crisp features. 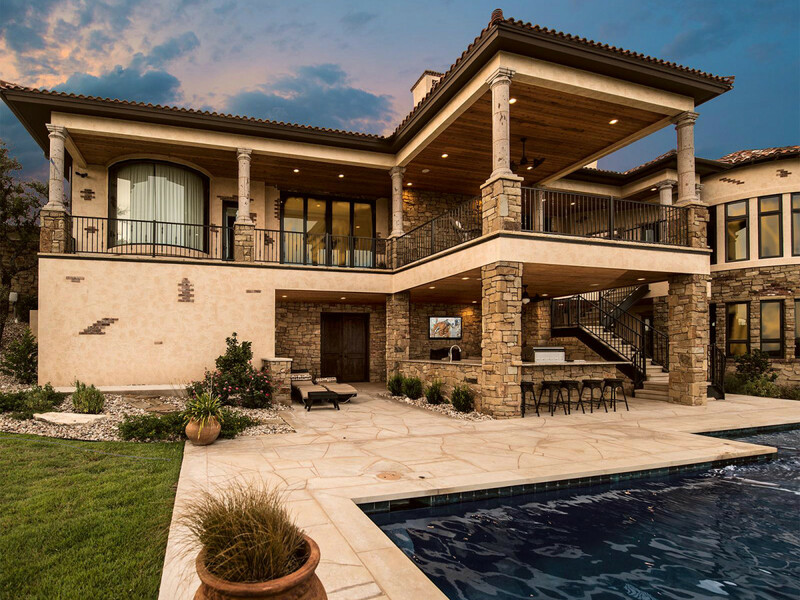 This extravagant backyard designed by C-Reese Design includes a covered balcony with a full outdoor kitchen and bar that will leave you lounging by the pool all day and night. 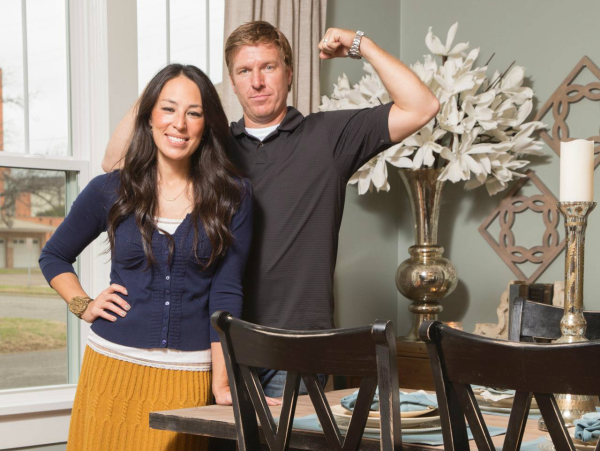 Porch.com contributed to the captions for this story. 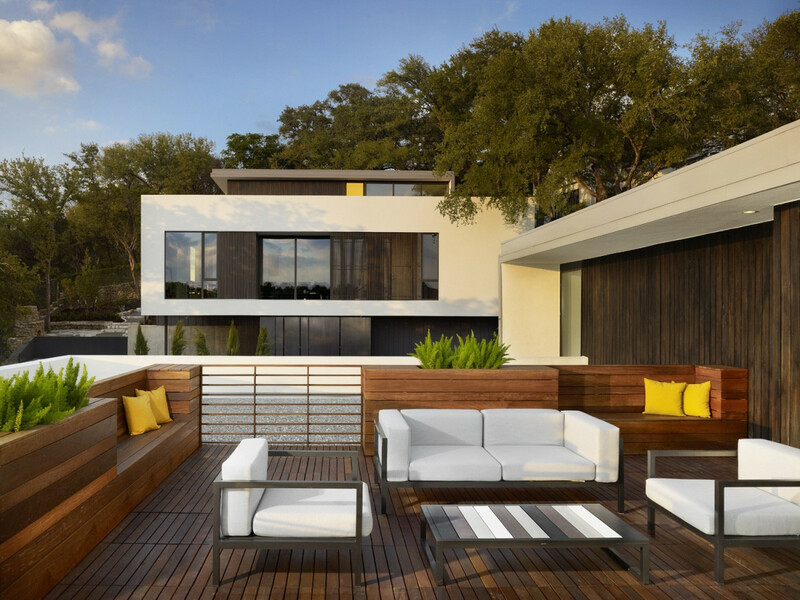 This backyard overlooking Lake Austin features a cabana designed by Weiss Architecture and RisherMartin Fine Homes for a picturesque outdoor living area. 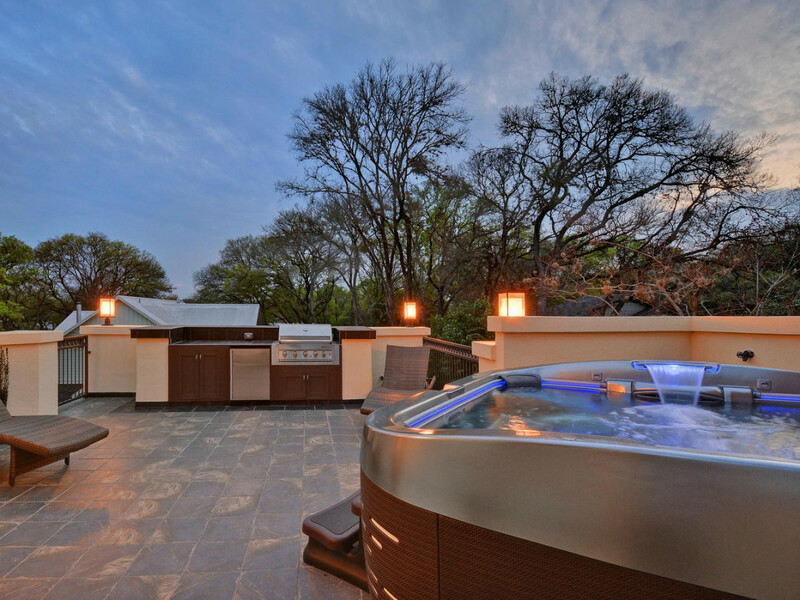 An incredible hot tub from Austin Spas & Pools on top of this sleek Austin home patio presents the perfect outdoor space for relaxation. 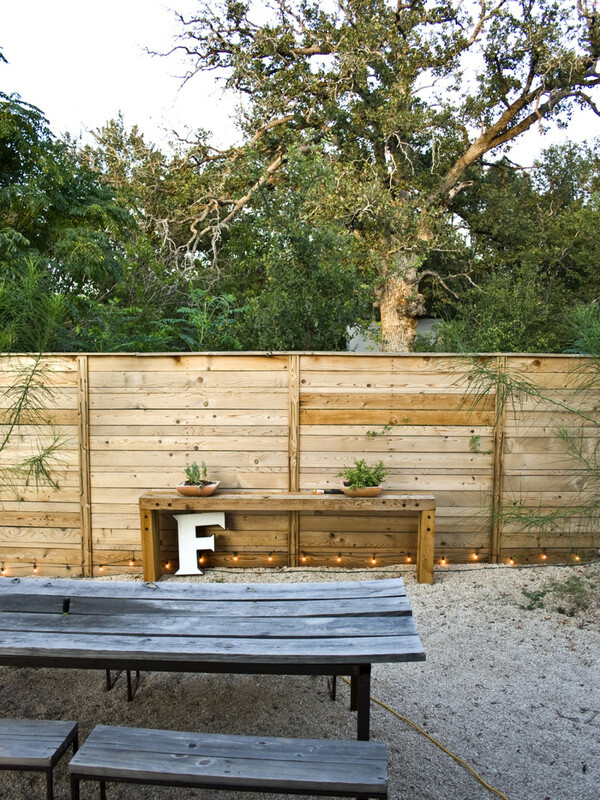 Less is more in this backyard designed by Moontower Design Build. All wooden features, potted plants and string-lights complete this simple outdoor space. Another design by Moontower Design Build, this quaint backyard will keep you shaded from the sun, complete with a pergola, small wooden patio and a stone path.